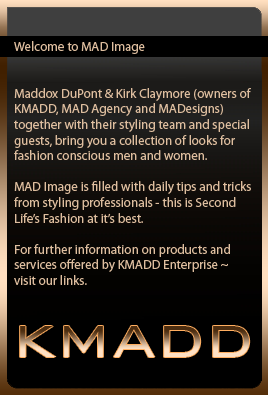 MADesigns brings several new releases to the Hair Fair. Though originally created for women, I say it’s unisex enough for men to work it too, so here’s me with Eve! Please visit our Designer Directory for store locations. This entry was posted in daywear, Emo, Evening Wear, fall/winter, Formal Wear, goth, MALE Fashion, Punk/Steam Punk, Retro and Vintage, Special Occasion/Costume, spring/summer and tagged DDD, Down Down Down, DownDownDown, Epic, Exodi, lachrymose, LaPointe & Bastchild, MADesigns, MStyle, Nomine, pig, So What?, Super Possessed, TBC, The Black Canary, Tiny Bird. Bookmark the permalink.